It was a tough weekend for Quinnipiac as they ended up splitting a weekend series against a second year program in Arizona State. 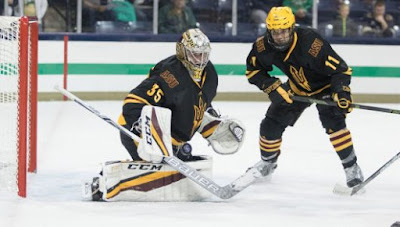 After a solid 5-2 win on Friday night the Bobcats made mistakes defensively which contributed to a 4-2 loss Saturday giving the Sun Devils their biggest win in program history to date. 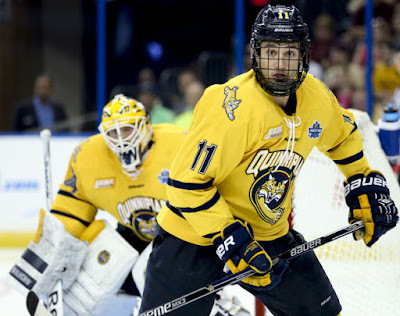 Quinnipiac has seven games left in the regular season with all in the ECAC and even winning out would get the Bobcats to #18 in the pairwise as currently constituted before any other results come in to play. With that said lets take a look at what some of the future Bobcats did over the weekend. A couple of future Bobcats playing for the 15-U Selects Academy team at the South Kent School won the 2017 Mid Winter AAA Classic Invitational in Detroit, Michigan. 2001 forwards Ethan Phillips and P.J. Fletcher helped lead South Kent to the tournament title. 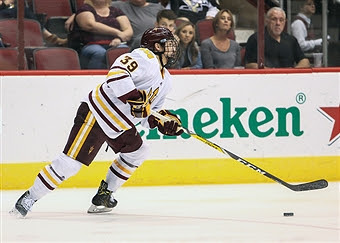 Phillips played in five of the six tournament games and had 13 points (6 goals and 7 assists) while Fletcher played in all six games showing outstanding play-making ability and physicality. He finished the weekend with 10 points (3 goals and 7 assists). In 42 games played this season Phillips has 62 points (29 goals and 33 assists) while Fletcher in 46 games played has 51 points (19 goals and 32 assists). 2001 defenseman Dom Fensore continues to put up points from the blue line for the P.A.L Junior Islanders 16U team (USPHL). 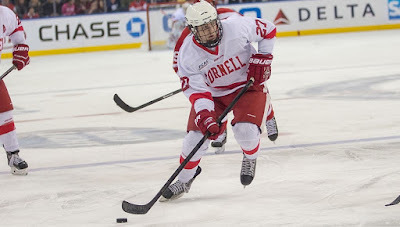 Over the weekend in four games played Fensore had a goal and three assists. In 18 games played he has 23 points (9 goals and 14 assists). One has wonder if he could be in a mold similar to Adam Fox of Harvard who was taken in the third round of the 2016 draft by the Calgary Flames. Fox is 5'10 but he is an excellent puck mover and has the ability to score as well. Currently, Fensore is only 5'8 but he still only 15 years old and won't turn 16 until September of this year so one would think he still has some more growth in him. Jeff Cox of SB Nation had nothing but good things to say when he saw him at the USPHL All Star Game. Here is the link to his story. Another weekend another multi point game for 1996 forward Matt Forchuk. In two games played this weekend he had five assists including a four assist game on Saturday in a 7-3 win for the Canmore Eagles (AJHL). Forchuk has only been held scoreless in seven of his 42 games played this season which is an astonishing number. In those 42 games played he has 69 points (21 goals and 48 assists) and averaging 1.6 points per game this year. He should be someone that will make an impact for the 2017-18 Quinnipiac team when he arrives in Hamden. 1997 forward Odeen Tufto had a very good week for his new team the Tri-City Storm (USHL). He had a two goal and two assist week highlighted by his three point night on January 24th against the Omaha Lancers but it was his goal on Saturday against Team USA that was eye opening. He tucked the puck home in a tight opening past Keegan Karki a North Dakota commit. Check out the video here. Tufto will be part of the 2017 recruiting class that will also feature Matt Forchuk and likely Keith Petruzzelli as some of the headliners. Matt Fawcett continues to remain hot for the Winchendon School. The 1999 forward out of Rhode Island is now averaging two points per game. In 18 games played he has 36 points (16 goals and 20 assists). A season ago with Winchendon he had 38 points in 28 games played so he is well ahead of last years pace. I'd expect him to play next season in the USHL for the Sioux City Musketeers where he already played in two games this year. I have him projected to arrive in Hamden in the fall of 2019 but depending on his development could be pushed to 2018 depending on early departures, transfers, etc. 1997 forward Daniel Winslow had two goals in a 4-1 win over the Philadelphia Jr Flyers for the New Jersey Hitmen Premier team (USPHL). In 36 games the Fairfield, CT native has 21 points (13 goals and 8 assists). 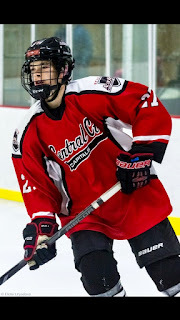 1998 defenseman TJ Brown of the Camrose Kodiaks (AJHL) has three points (1 goal and 2 assists) in his last five games. On the season in 47 games played Brown has 23 points (4 goals and 19 assists). 1998 forward John DeRoche is no longer committed to Quinnipiac. The Lynnfield, MA native started the season with Cedar Rapids in the USHL before being traded to the Topeka RoadRunners of the NAHL. He had 19 points in 22 games for the RoadRunners. 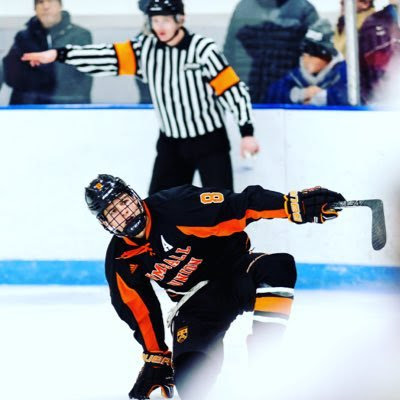 Quinnipiac recently picked up a verbal commitment from 1998 forward Mike Lombardi, a Rhode Island native playing at Kimball Union Academy in New Hampshire which is one of the top prep schools in the northeast for hockey. 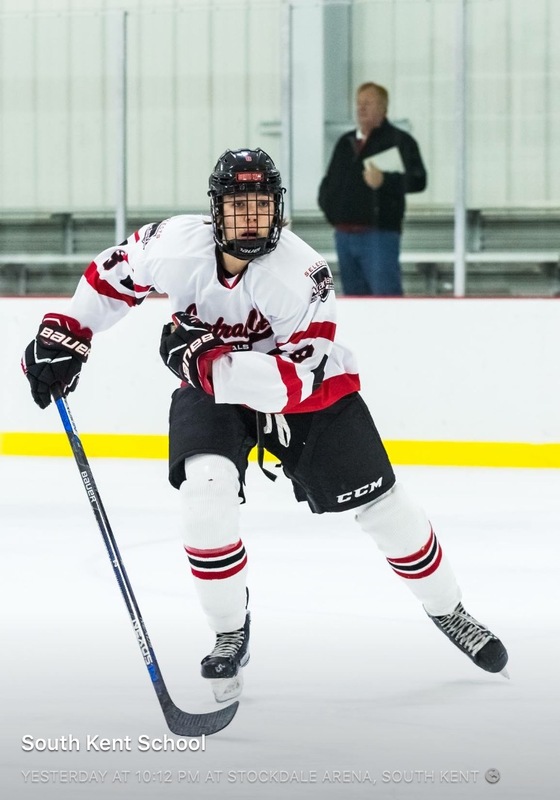 Lombardi is the fourth 1998 born player to choose Quinnipiac out of 25 future commitments following Zach Metsa, Khristian Acosta and T.J. Brown. I had a chance to catch up with him as he was gratuitous to give me some of this time for a question and answer session. Jonathan Singer: First of all congratulations on your verbal commitment to Quinnipiac. Tell us how your recruiting process went? Mike Lombardi: My recruiting process was extremely stressful but also fun. I had a few schools that I looked at, but once I stepped on campus at Quinnipiac I knew that this was the place for me. Jonathan Singer: What other schools were you considering besides Quinnipiac? What separated Quinnipiac from those other schools? Mike Lombardi: I visited UMass Amherst and Providence College. What separated Quinnipiac for me was the chance to compete for a national championship every year. I also wanted the chance to play for head coach [Rand] Pecknold, associate coach [Bill] Riga and associate coach [Joe] Dumais. Jonathan Singer: Currently you play for a coach at Kimball Union in Tim Whitehead who has taken seven teams to the NCAA tournament with four trips to the Frozen Four during his time at the University of Maine. What is it like playing for such an accomplished coach and what have you learned from him? Mike Lombardi: I owe everything to coach Whitehead. He has taught me so much about the game and I'm so lucky to have been able to play for him. Not too many high school kids get the chance to play for someone who has won at every level like him. Jonathan Singer: Did coach Whitehead play a part in helping you make a decision on which college to attend considering he has strong ties to many coaches in the college game? Mike Lombardi: He advised me but ultimately told me it was my decision to make and that he would support it, regardless of where I went. Coach Whitehead had coached Bill Riga at UMass Lowell so they stayed in contact throughout the process. Jonathan Singer: What type of game do you play when you are on the ice? Is it more of a power game or finesse game? Are you someone who likes to be one of the leaders on team? Mike Lombardi: I play more of a power game in which I like to use my speed and my body to protect the puck. I like to be able to make plays on the rush. I'm an assistant captain at Kimball Union and I like to be a leader. I want to be someone who is able to lead the way for our team. 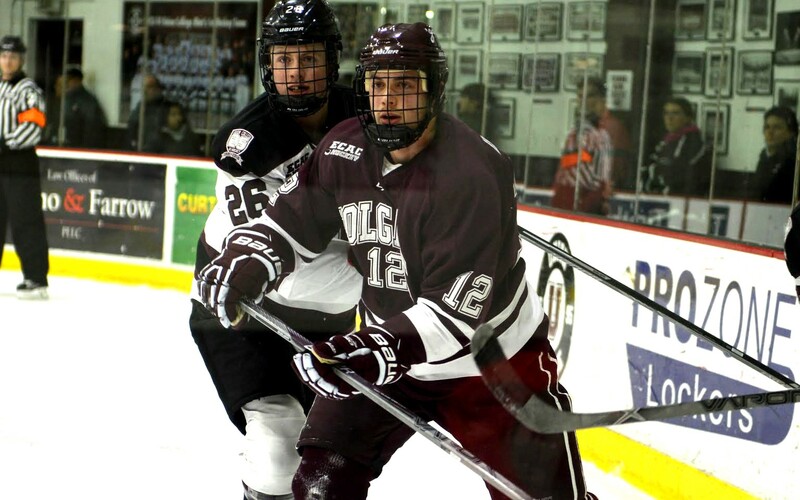 Jonathan Singer: Outside of Kimball Union, you also play for the Boston Junior. Bruins U-18 short season team. What is the type of play like in that league and is it made up of more prep players looking to play in more games than what the prep season has to offer? Mike Lombardi: I played for the Boston Junior Bruins in the fall before the Kimball Union season began. It is mostly prep school players and on the Junior Bruins team there were also eight Kimball Union players that I played with. Most prep teams have a few guys on each team. Once the Kimball Union season begins the Boston Junior Bruins season ends. Jonathan Singer: You graduate from Kimball Union this spring. At this time you have not been drafted by a USHL team. Is the goal to be drafted in the USHL Phase II draft and hopefully play there next season or another league like the BCHL or NAHL? 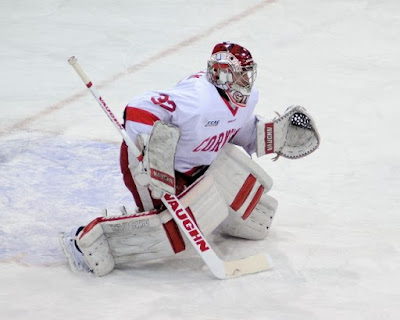 Mike Lombardi: I am hoping to be drafted this spring in the USHL draft but I may also play in the BCHL next season. Jonathan Singer: What are some of the things you want to improve on in your game as you move into junior hockey next season before you reach Quinnipiac? 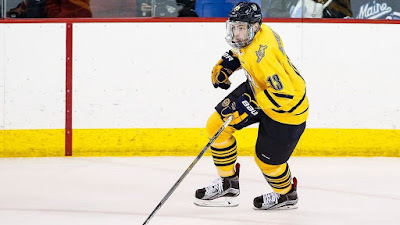 Mike Lombardi: I definitely want to get stronger and faster as I need to put on some weight before I can make that jump to the Division I level to play for Quinnipiac. Jonathan Singer: Is it the expectation that you will arrive at Quinnipiac in the fall of 2018 or does it depend on how your development progresses? Mike Lombardi: I think the plan right now is to enter Quinnipiac for the fall of 2018. Jonathan Singer: You are the third future Bobcat commit from the state of Rhode Island following Matt Creamer and Matt Fawcett. Did you talk to any of them before deciding on Quinnipiac? Mike Lombardi: I know both of them extremely well but I did not talk to them before making my decision. With them committed to Quinnipiac I knew it would make the transition so much easier because those guys are good friends of mine. This past weekend the Quinnipiac Bobcats were off so it made a good weekend to have a little Quinnipiac reunion with some old friends as we all gathered down in Hamden for a couple of days. I got the chance to watch some Quinnipiac men's basketball in a win over Canisius College. The rest of the ECAC played and the weekend ended with the Bobcats still in fourth place in the league but three of the teams right below Quinnipiac have multiple games in hand on them. Let's take a look at how some of the future Bobcats did over the past week as a few of them exploded for multi point games. 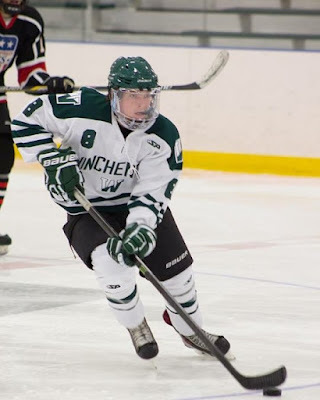 Winchendon 1999 forward Matthew Fawcett exploded for an eight point week in two games for his prep school with three goals and five assists. Fawcett now has 29 points (12 goals and 17 assists) in 15 games played and is averaging 1.93 points per game. 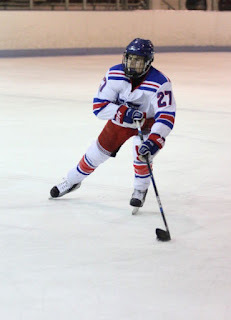 Fawcett is also splitting his time playing for the Eastern Mass Senators U-18 team. In 23 games played he has 53 points (24 goals and 29 assists). He is averaging 2.30 points per game. He is putting together a really good resume for him to make the Sioux City Musketeers for next season in the USHL. 2001 defenseman Dom Fensore continues to impress with a five point weekend (2 goals and 3 assists) in three games for the PAL Jr. Islanders 16U team in the USPHL. 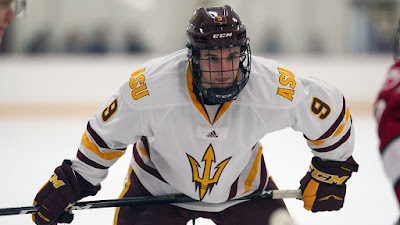 The highly talented puck moving defenseman has 19 points (8 goals and 11 assists) in 14 games played with seven points on the power play (3 goals and 4 assists). He continues to show why he should get an invite to the national development camp. It was another good week for 1996 forward Matt Forchuk who had a four assist game on Saturday for the Canmore Eagles (AJHL). 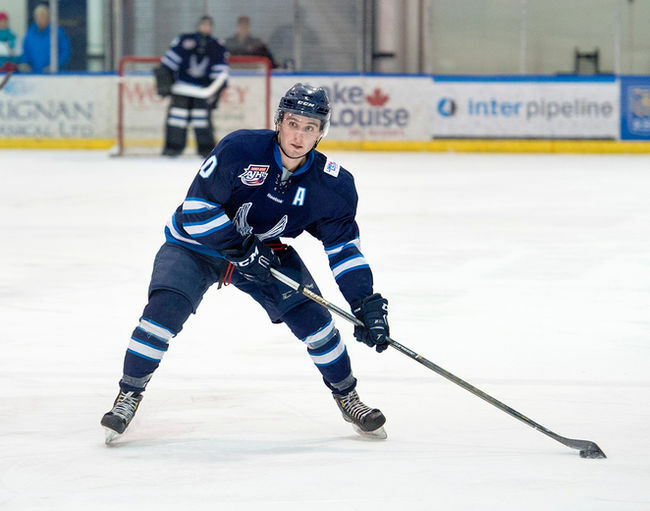 In 40 games played he has 21 goals and 43 assists (64 points) and is second in the AJHL in scoring. He is averaging 1.6 points per game and has 30 power play points (8 goals and 22 assists). He will bring much needed scoring to Hamden in the fall of 2017. It was the season debut of 1996 defenseman Joe O'Connor for the Brooks Bandits (AJHL) this past weekend as he saw action in two games. 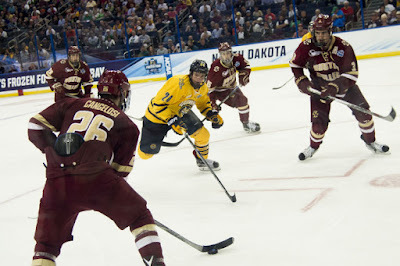 The Hamden, Connecticut native has been out the majority of the season with an upper body injury. 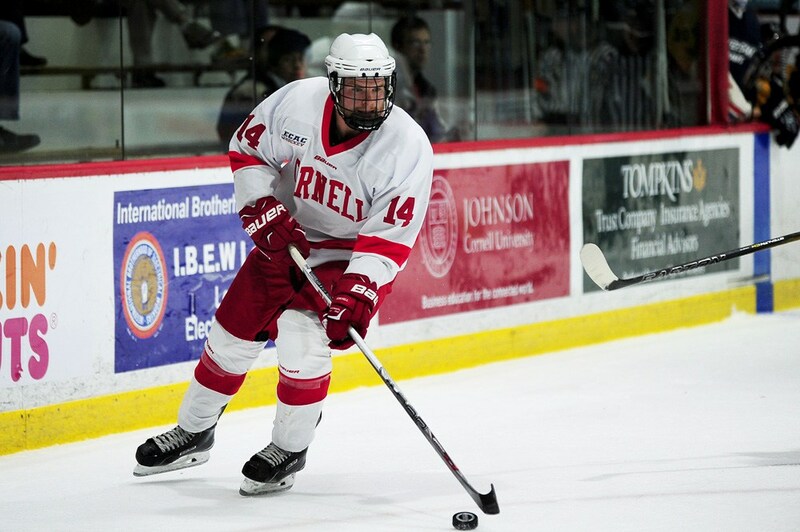 O'Connor, a former Vermont commit had 52 points last season for Brooks before switching his commitment to Quinnipiac. He will bring size to the Bobcats blue line as part of the 2017 recruiting class. 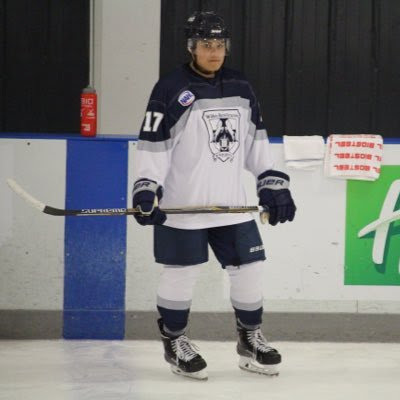 The most recent commit Mike Lombardi the 1998 forward playing for Kimball Union had a goal and two assists in two games. He now has 34 points (13 goals and 21 assists) in 25 games played. Lombardi also plays for the Boston Jr. Bruins Selects U18 team and has 22 points (9 goals and 13 assists) in 14 games played. Check out my piece on his commitment. 1998 defenseman Zach Metsa had a goal and two assists in two games for Merritt Centennials (BCHL). His lone goal on the weekend was a power play goal. On the season he has 3 goals and 21 assists in 44 games from the blue line and plays with a lot of discipline only taking four penalty minutes all season. 1997 forward Odeen Tufto was traded to the Tri-City Storm (USHL) from the Fargo Force (USHL). He played his first two games for the Storm this weekend and had one assist. He previously had not played since January 7th. On the season Tufto has 22 points (5 goals and 17 assists) in 32 games played. He is part of the Bobcats 2017 recruiting class. 1999 goaltender Keith Petruzzelli of the Muskegon Lumberjacks (USHL) pitched a 20 save shutout with a shootout win over Green Bay on Saturday. It was his second shutout of the year. This past week Petruzzelli was named the top North American goaltender by NHL Central Scouting. In 21 games played he is 12-7 with a 2.55 goals against average, a .911 save percentage and two shutouts. New Jersey Hitmen 1997 forward Ryan Finnegan had a three point weekend with two goals and an assist. 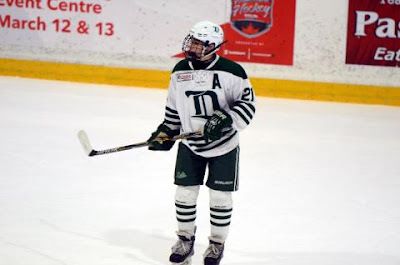 In 17 games played since moving to the USPHL from the BCHL Finnegan has 16 points (6 goals and 10 assists) with 5 power play points (2 goals and 3 assists). The No. 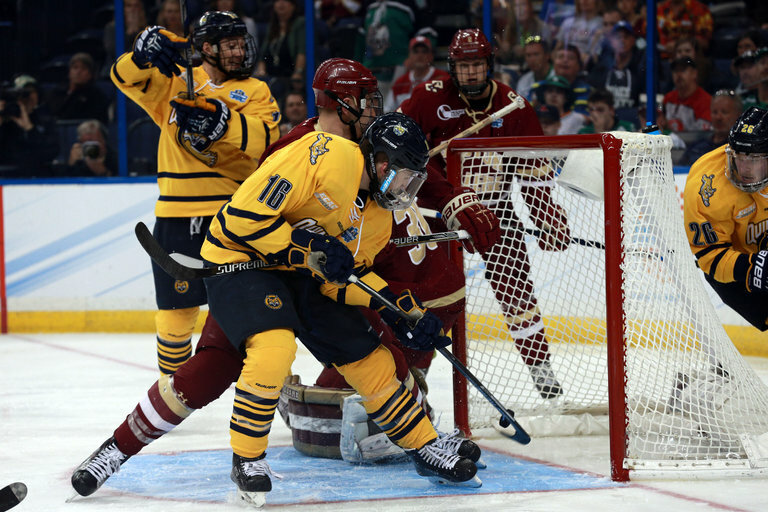 15/15 Quinnipiac Bobcats fell on Saturday night 2-1 in a crucial game to the No. 19 Cornell Big Red. 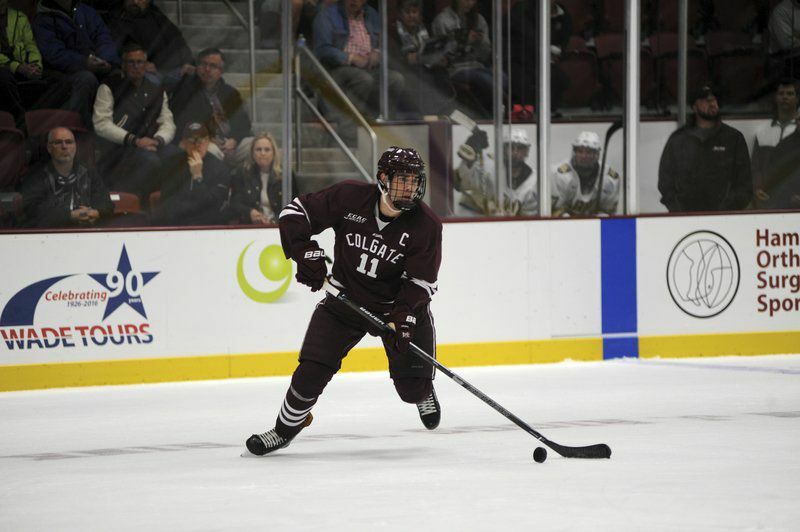 After a solid win last night against Colgate with the offense breaking out for four goals, the Bobcats could only muster one goal in tonight's game. Head coach Rand Pecknold turned to freshman Andrew Shortridge in net for third consecutive game. Its looks as if the their may be a changing of the guard in between the pipes for the Bobcats. In the first period Cornell came out strong in the first period taking it to the Bobcats early in the period. The Big Red got on the board early in the period on captain Jeff Kubiak's second goal of the season. Brendan Smith and Mitch Vanderlaan picked up assists on Kubiak's goal. Almost three minutes later the Bobcats responded with a power play goal when Craig Martin took a Brogan Rafferty pass and bombed a shot from the top left circle past Mitch Gillam. Rafferty and Chase Priskie assisted on Martin's goal. Each team traded a pair of penalties in the first period. Cornell out shot Quinnipiac 9-8 in the opening frame. In the second period Cornell really took it to Quinnipiac in the period. The Big Red really buckled down on defense and limited the scoring opportunities for the Bobcats. Midway through the period the Big Red scored on the power play by Alex Rauter on assists by Matt Buckles and Alec McCrea. Cornell finished the period out shooting the Bobcats 14-4. In the third period Cornell turned to one of the best defenses in the country to take over the game and shut the Bobcats down offensively. 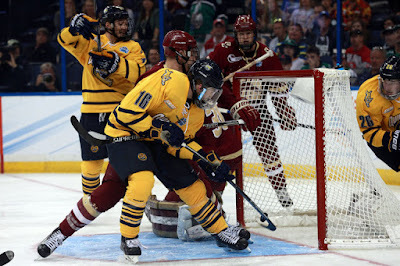 Despite a couple of Quinnipiac power plays, Cornell's defense suffocated the Bobcats into submission in the third period making Alex Rauter's second period goal hold up as the game winning goal. The teams both had eight shots apiece in the third period and Cornell out shot Quinnipiac for the game 31-20. Despite the loss Andrew Shortridge was strong in net making 29 saves. 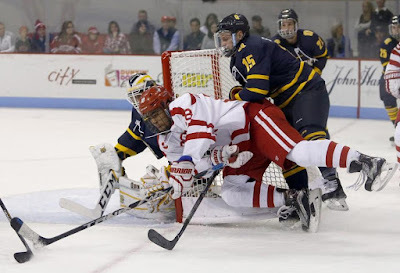 Cornell finished the game blocking 16 Quinnipiac shots. With the loss the Bobcats fall to 13-10-2 and drop from 19th in the 24th in the pairwise rankings. Cornell moves to 11-4-1 on the season and up to 11th in the pairwise rankings. Its the first time since the 2011-2012 season the Bobcats have lost more than ten games in regular season. Quinnipiac returns to action in two weeks when they host Arizona State in non conference action. We usually highlight the accomplishments by future Quinnipiac committed players in the weekly recruiting notes but this performance by a future Bobcat stood out and could not be overlooked until the upcoming Monday. Muskegon Lumberjacks 1999 goaltender, Keith Petruzzelli had an outstanding night at the 2017 USHL/NHL Top Prospects Game which features many NHL draft prospects playing in the top junior hockey league in the United States. While Petruzzelli did not start for the Team East squad, he came on in relief midway through the second period after starting goaltender Maksim Zhukov gave up three goals on 14 shots. In just over 27 minutes of game action, the talented goaltender saved all 21 shots by the Team West squad. 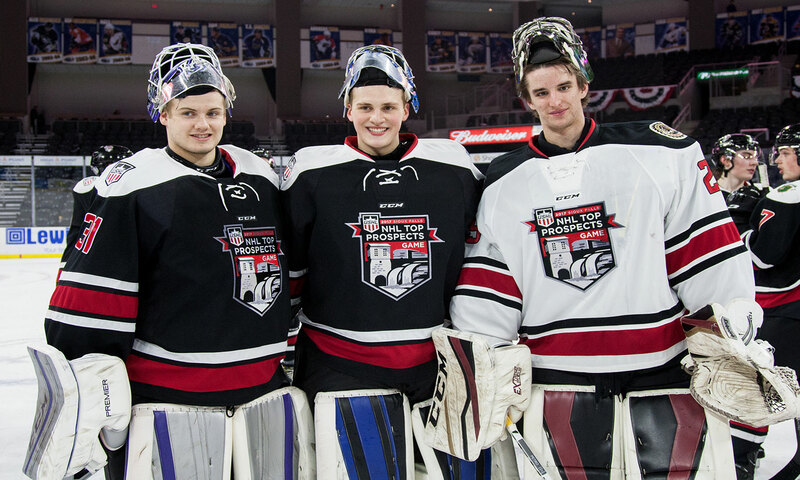 It was an impressive performance by Petruzzelli, who was named the Team East MVP, making him the first goaltender in the history of the USHL/NHL Top Prospects Game to win a team MVP award in the five years that the game has existed. With scouts from likely all of the NHL teams in attendance, Petruzzelli rated as a B level prospect by the NHL Central Scouting List likely opened some more eyes to some scouts thinking about taking a goaltender such as him in the upcoming 2017 NHL entry draft. As a B level prospect he is projected to go in the second or third round of the draft but it will be interesting to see if this performance will see his draft stock elevate even further than it was before this game. Petruzzelli, who committed to Quinnipiac (with his brother D.J.) back in December of 2013 when he was a freshman at Springfield Cathedral High School, has seen high stock rise considerably after two years at Cathedral along with a season as the South Kent School last year before becoming the starter with Muskegon this year. In 19 games played this season for the Lumberjacks, Petruzzelli is 11-6 with a 2.58 goals against average and a .912 save percentage with one shutout. 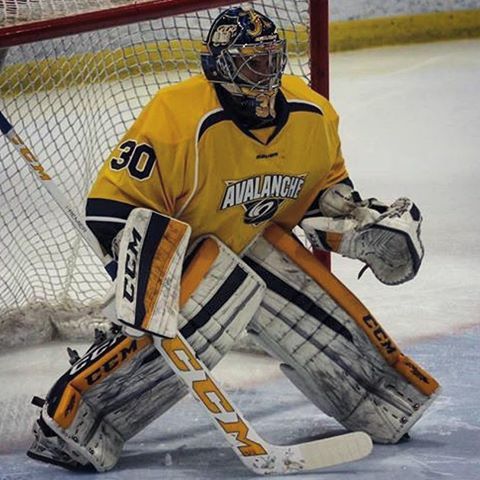 With the transfer of junior goaltender Sean Lawrence, its becoming likely he will enroll at Quinnipiac in the fall of 2017 as a true freshman unless the coaching staff wants him to develop one more season in juniors and recruits an older goaltender for next fall.